A summer recreation paradise, Mono County is the place for outdoor adventures. Fishermen will find scores of alpine lakes and streams teeming with trout. Backpackers and hikers will enjoy hundreds of miles of trails that wind through the Inyo and Humboldt-Toiyabe National Forests, including the John Muir, Ansel Adams, and Hoover Wilderness areas. Mountain bikers can take advantage of lift assisted Mammoth Mountain Bike Park, with miles of heart-pounding downhill and single track trails, and road bikers will love the smooth asphalt with minimal traffic. Adventurers can view the Eastern Sierra from a saddle on an overnight horseback pack-trip, paddle among the tufa towers at Mono Lake, or drive your SUV on mapped back-country routes throughout Mono County. World class granite brings world-class rock climbers. Experienced mountain guides can lead the way. In Mammoth Lakes, Sierra Star is California&apos;s highest 18-hole golf course, and nearby Snowcreek offers a 9-hole challenge. Take a dip in a natural hot spring, and end your day sleeping under the stars. The recreational opportunities are endless in Mono County. Click on the links to the left to start planning your summer vacation here in California&apos;s Eastern Sierra. Looking for the perfect place to go camping? 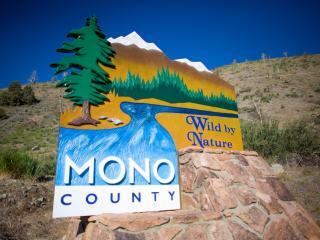 Look no further, Mono County has over 100 campgrounds for you to choose from! For information on Inyo National Forest Campgrounds (Rock Creek, Crowley, Mammoth Lakes, June Lake and Lee Vining area) click HERE. For information on Humboldt-Toiyabe National Forest Campgrounds (Bridgeport, Walker, Coleville and Topaz area) click HERE.